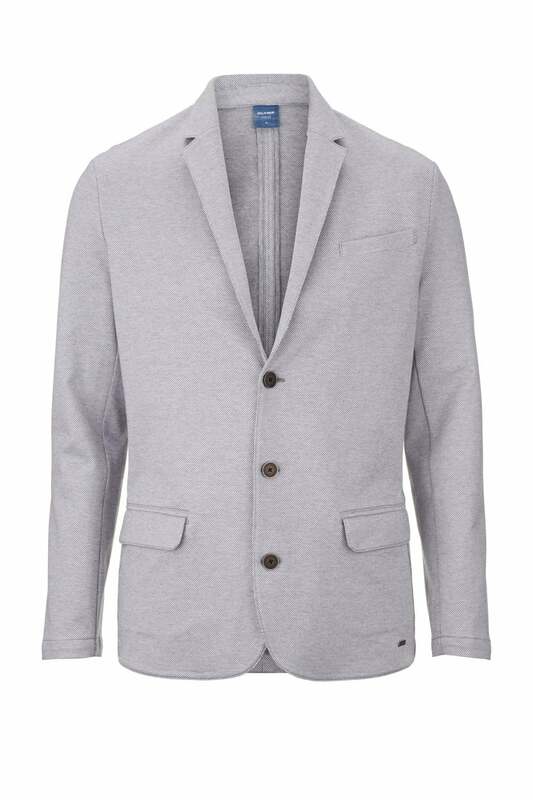 Take a smarter approach to your off-duty attire with the Olymp jersey blazer. Perfect for a day to night look the blazer sports a notched lapel collar side pockets and three button fastening to the front. The blazer is fashioned to a regular modern fit whilst still creating a flattering and fitted look. Further details include an all over self patterned design and a left chest pocket to complete the look. Team with an white oxford shirt and black chinos for a suave outfit.